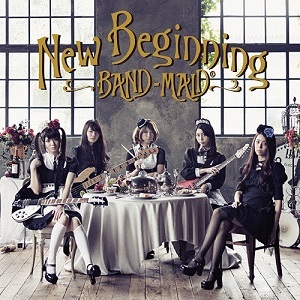 New Beginning is 2nd mini-album from BAND-MAID, and and the band's last release under Gump Records. The music videos of Thrill, Real Existence and Don't Let Me Down from this album are available on their official YouTube account. Don't Let Me Down is a good start because the lyrics is in English. And there is a bonus DVD for Music Video Real Existence and Don't Let Me Down.